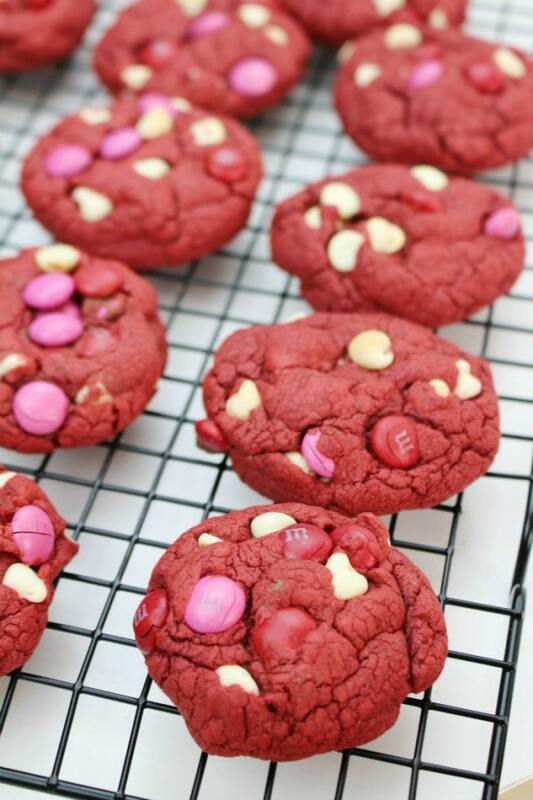 Here is an easy red velvet cookies recipe just in time for Valentine’s Day. Using cake mix makes this cookie recipe easier than pie. (Seriously, I think pie is harder to make than cookies.) If you switch up the colors of the M&M’s, the red cookies are perfect for any holiday. This post contains affiliate links, but all opinions are my own. Line a cookie sheet with parchment paper. This will keep the cookies from spreading into each other. In a mixing bowl, add the cake mix, baking powder, eggs, and vegetable oil. Mix until well combined. Add the Valentine M&M’s and stir to distribute throughout the cookie dough. Using a tablespoon or cookie dough scoop, transfer the dough onto the baking sheet. Let the cookies cool for 5 minutes on the cookie sheet before transferring them to a wire rack to completely cool. I love making cookies with cake mix for many reasons. First of all, it’s a super shortcut. Second of all, I love the texture. Third of all, you can use any kind of cake mix to play around. If you haven’t tried making cookies with a cake mix, definitely give it a whirl. 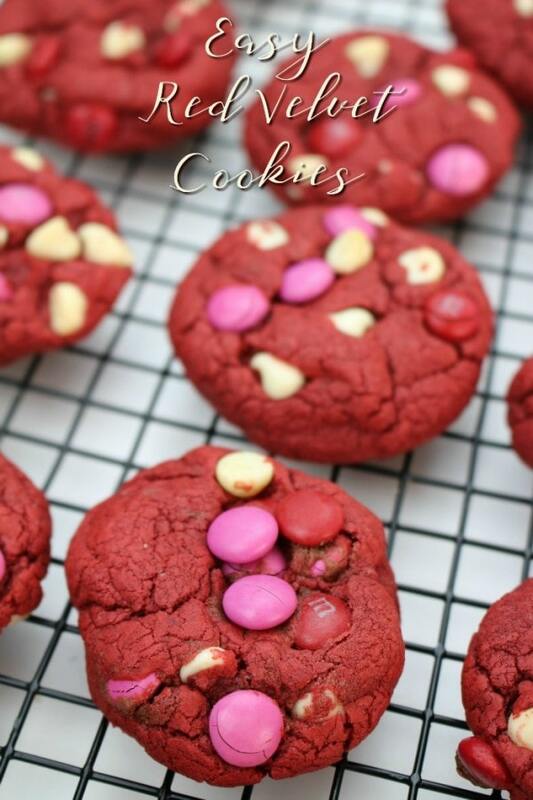 Tasty cake mix cookies perfect for Valentine's day or any time of year. 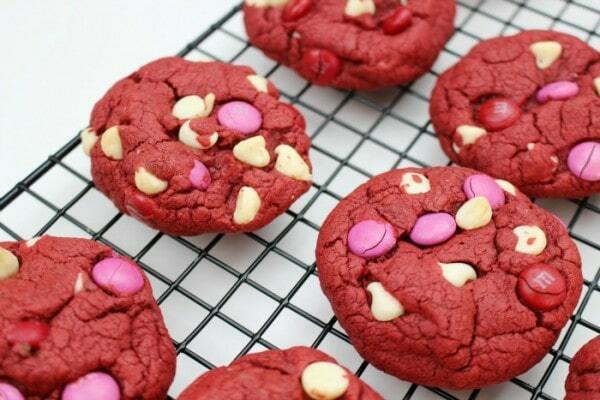 Add the Valentine M&M's and stir to distribute throughout the cookie dough. 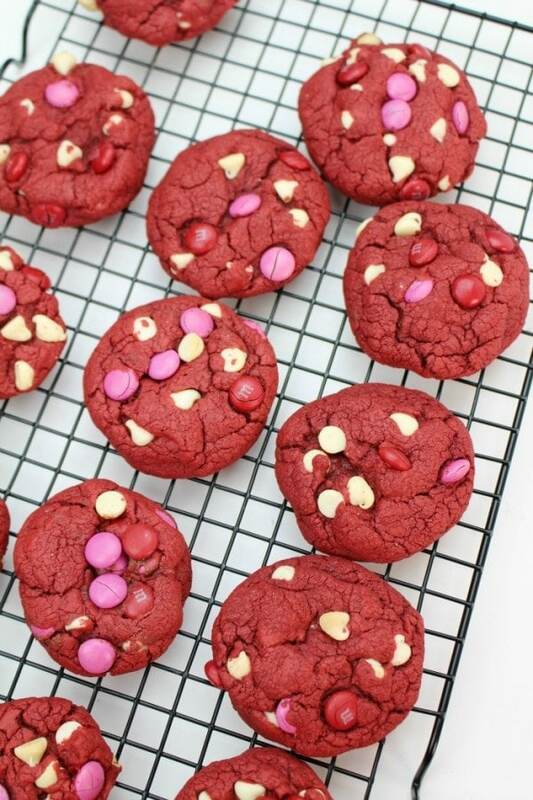 Do you think you would like this easy red velvet cookies recipe? That’s a very festive cookie and easy to make. Thanks. 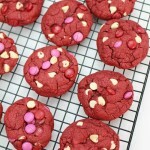 I love the idea of using the red velvet cake mix to make cookies. These look delicious.